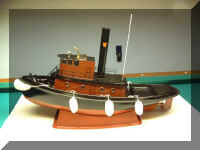 Bill's Pennsylvania Railroad Tug Boat. 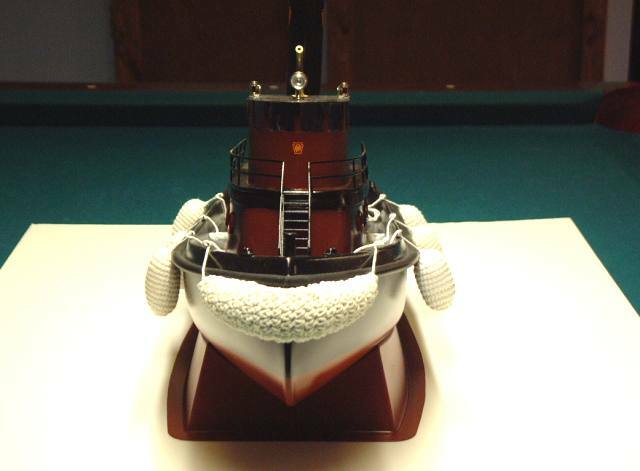 The wheelhouse is scratch-built. 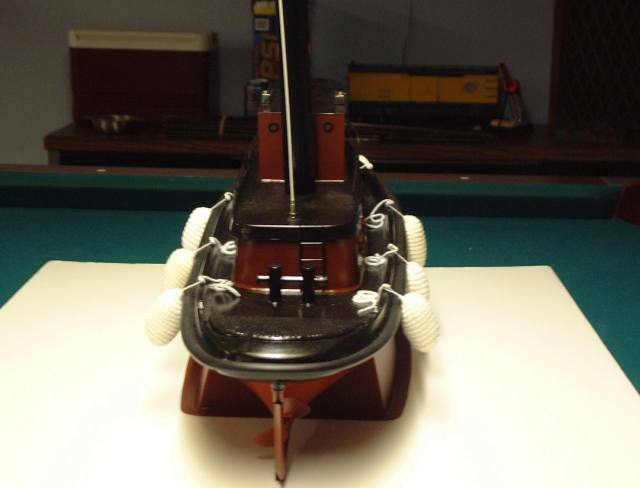 The fenders, port holes, cleats and chocks were ordered on the web from "The Modelers Boatyard". 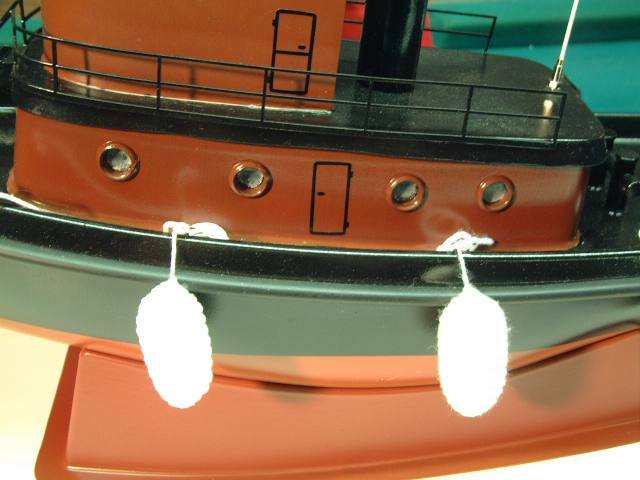 The "O" scale PRR decal on the stack is made by "Microscale". The water cannon on the pilot house really works. It has its own battery for endurance. 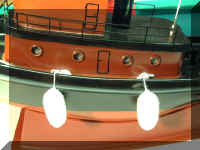 (See the Fire Boat instructions in this section.) 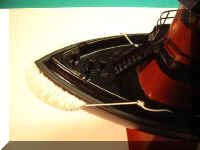 The railings, ladders, plastic tube for the smoke stack and plastic stock material came from "Plastruct", also on the web. A Dean's Antenna is installed on the cabin roof. Nice color scheme. 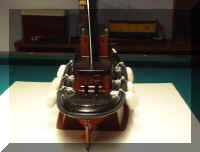 Can you tell that Bill's main hobby is model railroading? Years ago, New York Harbor was loaded with these tugs and their railroad car barges. That is probably Bill's next project. This standard H-bitt is constructed from plastic tubing with brass tubing inside. 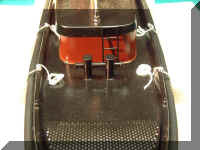 The brass tubing is run down into the motor tray for strength as a tow point. 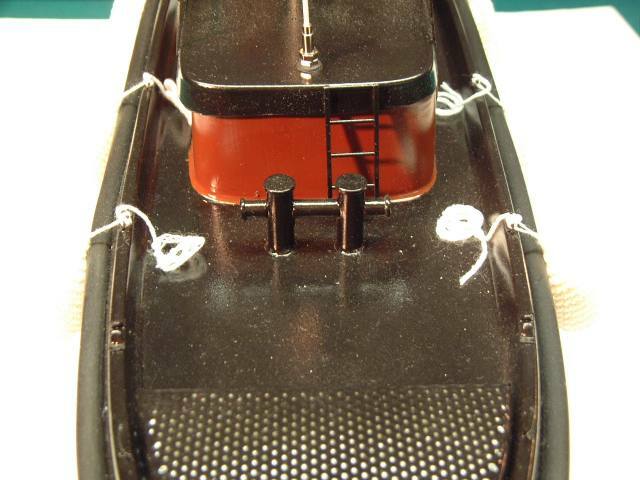 Nice detail with the bow bitt, ladder & railing. 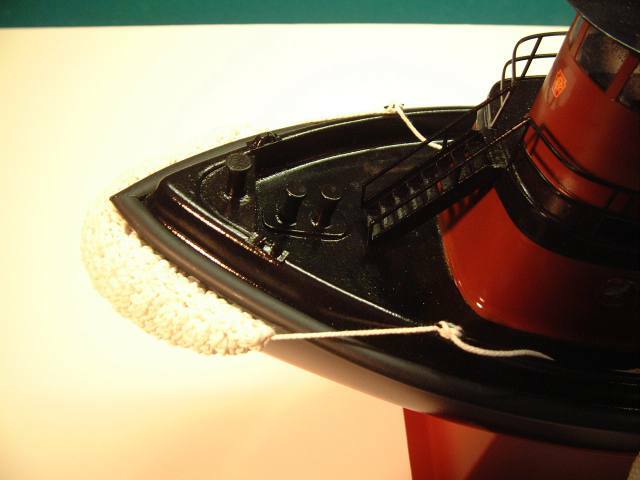 Under many of the extras you can see some of the stock Vac-U-Tug trim.